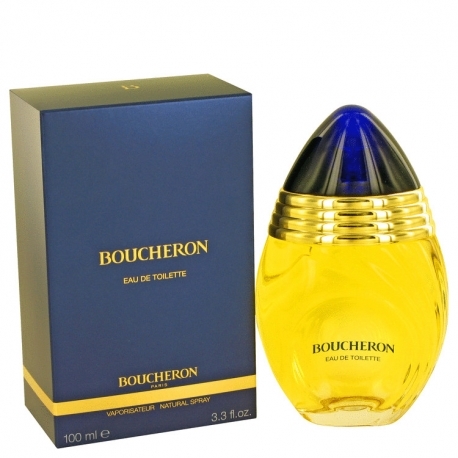 Boucheron for women is a symbol of splendour, tradition and elegance, a classic floral oriental fragrance. 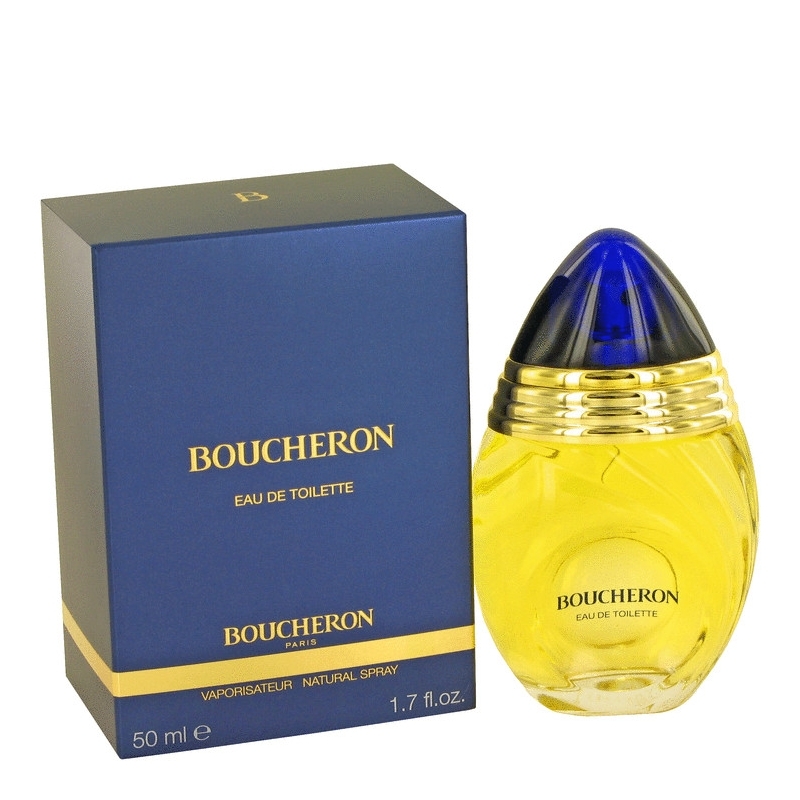 Boucherons designers created this elegant perfume in 1988 and it was inspired by the art of Parisian goldsmiths from Place Vendome. The fragrance in perfume concentration has a shape of a ring, edt and edp also have a symbolic shape of a ring. The basic notes are sweet floral-fruity ones with a spicy note of basil and bitterness of pelargonium, which slowly receives intensity with ylang-ylang, tuberose, daffodil, orange blossom from Morocco and jasmine. The base, which is as thin, opulent and elegant as the whole composition, encompasses: civet, benzoin, woody notes, Tonka bean, Indian vanilla, oakmoss, ambergris and musk. 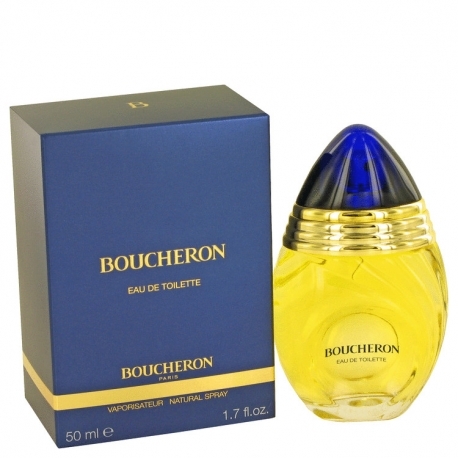 The perfume was created by Francis Deleamont and Jean-Pierre Bethouart in 1989. A collection of 4 perfumes by Boucheron, called "Parfums de Joaillier"-Waters by Jeweler, was introduced in 2007. The design of bottles was inspired by this houses jewelry creations and they seem like a metamorphosis of a jewel into bottles. There are initials P and J (Parfums de Joaillier) on the bottles and are written in gold and silver colour. All perfumes in this collection, except for the pink Miss Boucheron-Parfums de Joallier, have the colour of the gem amethyst. This special limited edition is available as 100ml edp spray and carries the same notes as the original version.